At Littlebranch Farm we specialize in translating your dreams and ideas into reality. 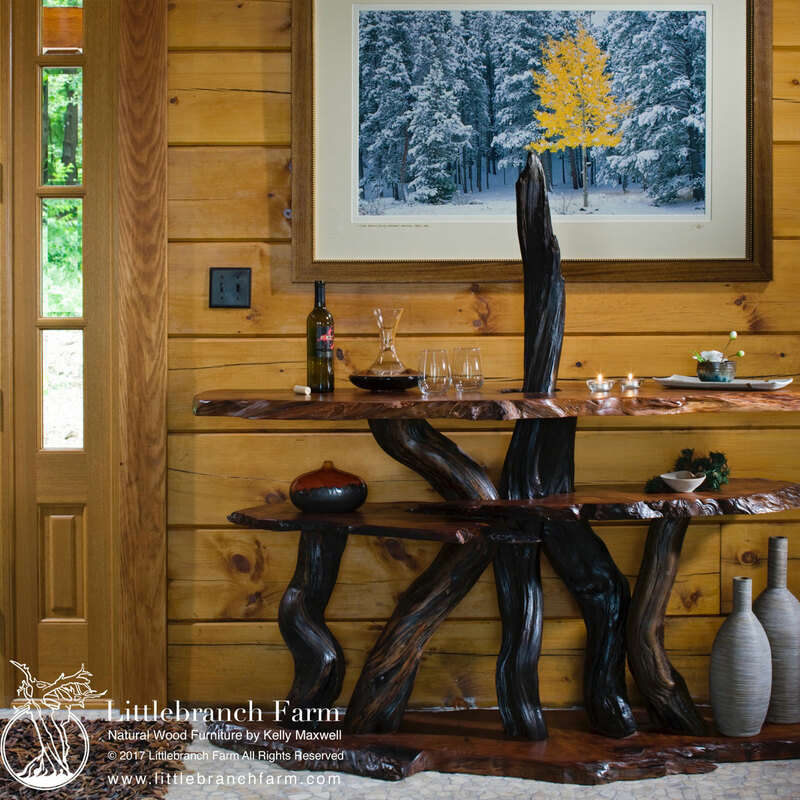 From rustic room design to custom-built furniture, our expertise is in creating extraordinary, one-of-a-kind rustic furniture and decor of unparalleled warmth and beauty. 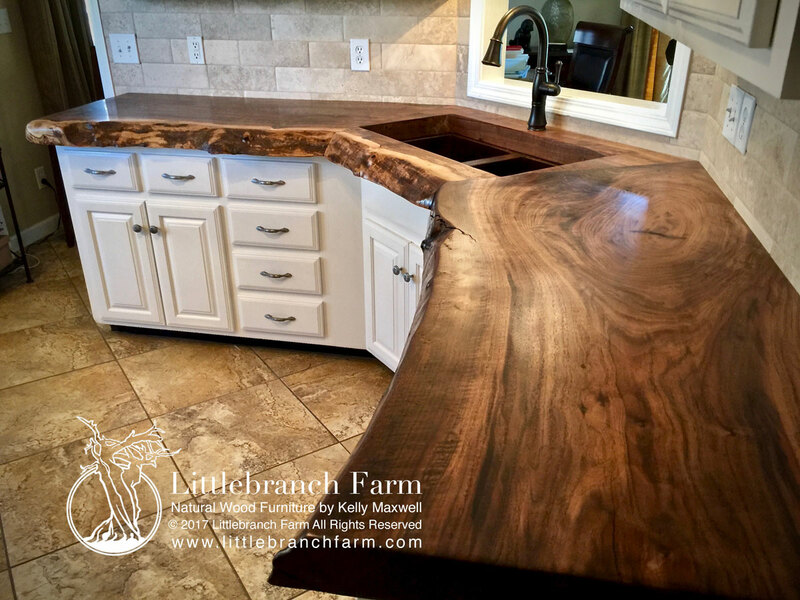 At Littlebranch Farm rustic furniture, we specialize in translating your dreams and ideas into reality. 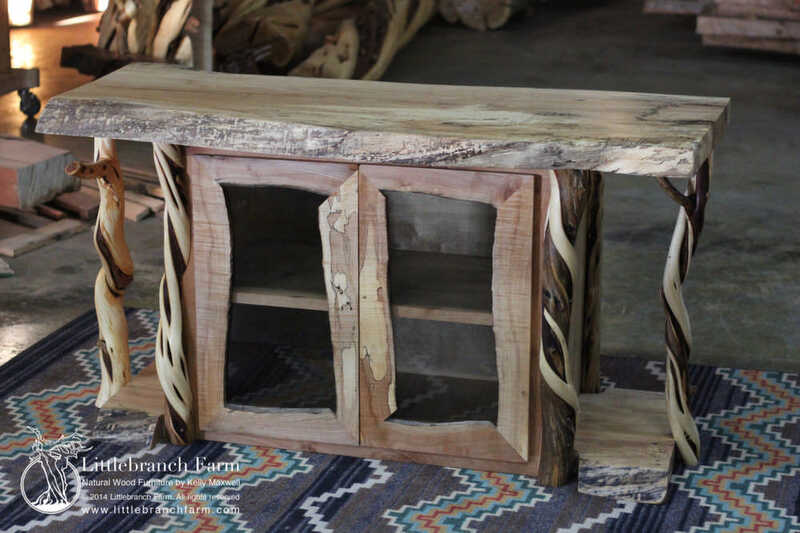 From rustic room design to custom-built furniture, our expertise is in creating extraordinary, one-of-a-kind rustic furniture and decor of unparalleled warmth and beauty. Home decor should accommodate individual tastes while creating an ambiance in which you can relax and unwind. Furnishings should complement each other in color, texture, and style. 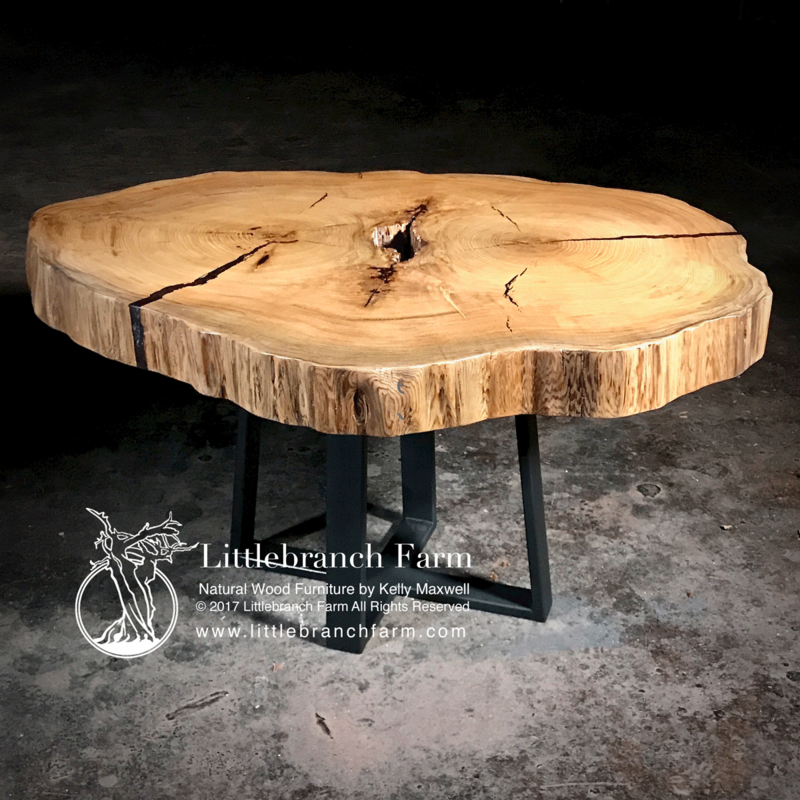 The artists at Littlebranch Farm can meet your every need. 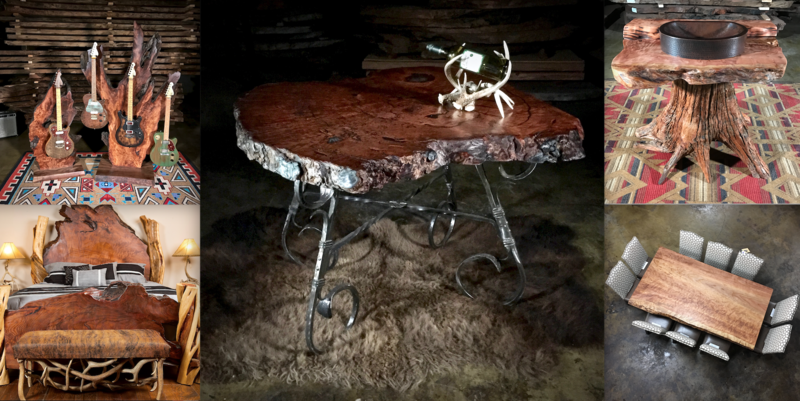 "Rustic" characterizes a look and feel that brings the outdoors and nature into the home and provides an escape from stress of life. Rustic decor provides an invitation to rest and unwind. 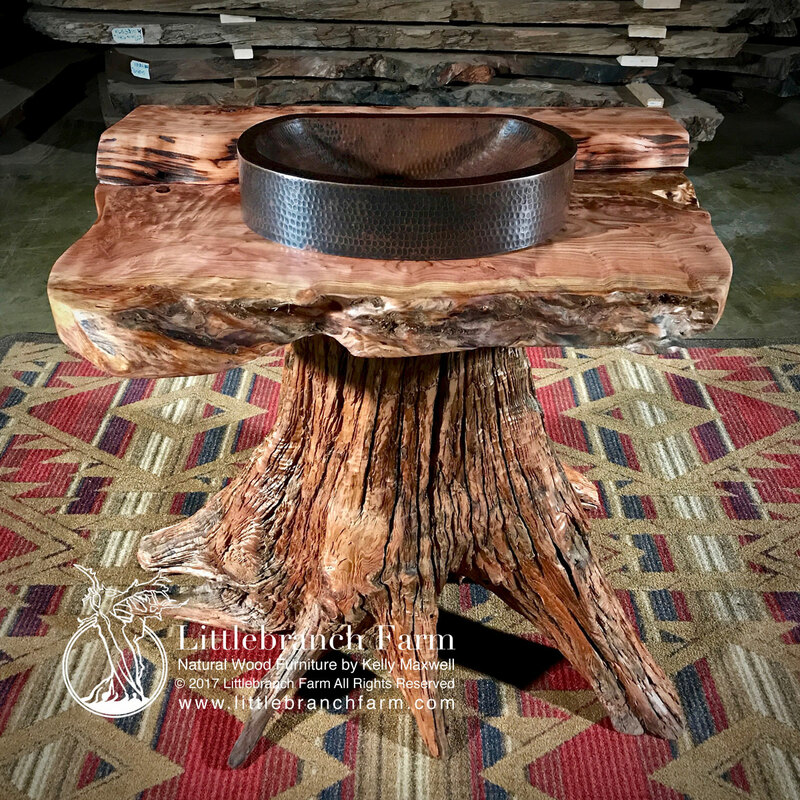 Our work includes rustic beds, large redwood slab tables, rustic tables, solid-slab black walnut, twisted juniper mantles, barnwood vanities, rustic vanities, and stump-pedestal vanities. Artistic accent items create dramatic touches to interior spaces. The warm hues of natural wood complement any room. 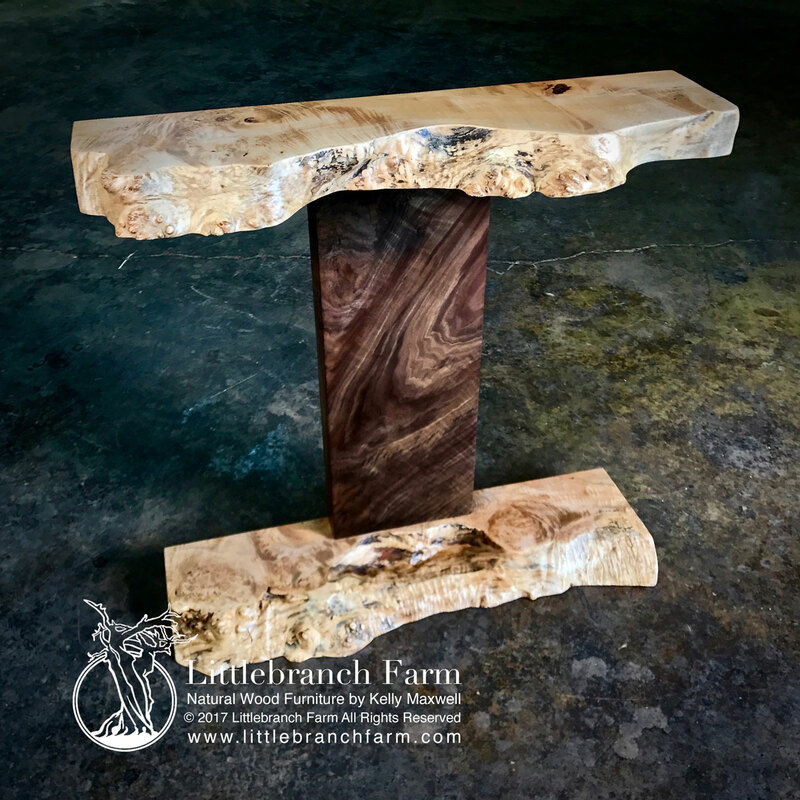 Littlebranch Enterprises began in 2001 following the wedding of our oldest daughter. Kelly built several unique garden benches and tables for the reception; friends and family commented on Kelly's talent and encouraged him to expand his craft. 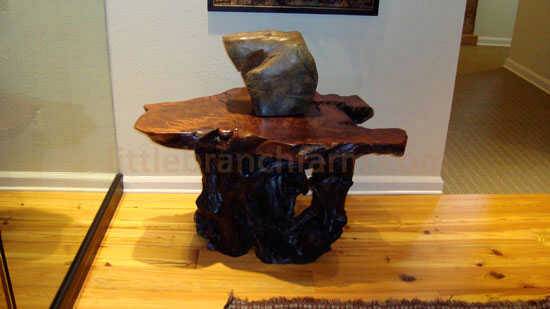 We began selling rustic log furniture at craft shows and by 2003, had expanded to log home shows and internet marketing. Other than watching David Marks, and Norm Abram on 'New Yankee Workshop', Kelly is self-taught, which speaks to his remarkable gift and artistic vision to produce unique and 'one-of-a-kind' pieces. The name 'Littlebranch' comes from the creek that runs through our 16-acre property in Hamilton, Georgia at the foot of Ross Mtn. 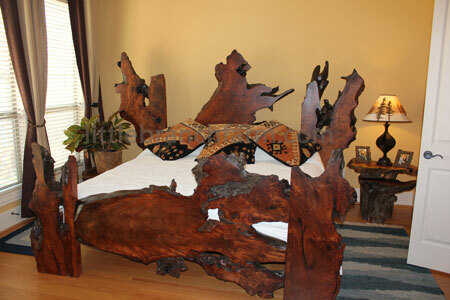 Kelly designs every piece of rustic furniture or cabinetry. 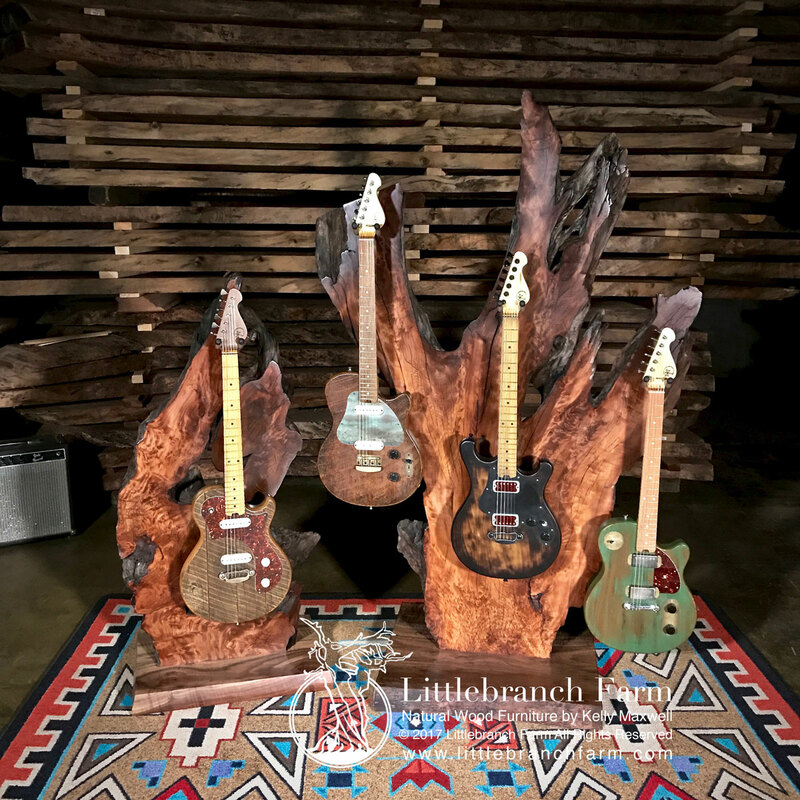 Beyond the woodshop, a large 'wood yard' of cedar logs and stumps; redwood, black walnut, cypress, and maple burl slabs provides a rich selection from which to build. A community of other artists have apprenticed under Kelly to assist in production while also offering the opportunity to build and expand their own craft. 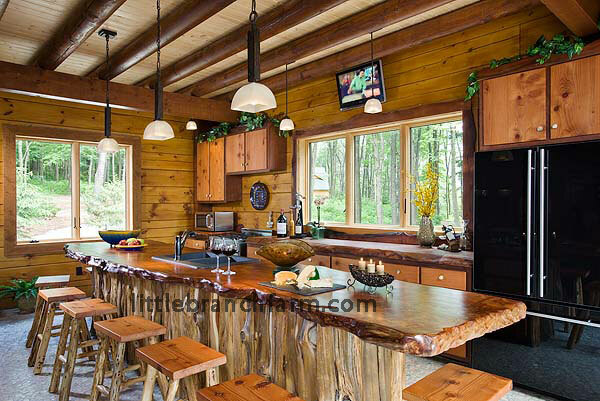 Since its inception, Kelly Maxwell and Littlebranch Farm has been published in many local publications and four major log home magazines, including Log Home Design Ideas (July 2003), Log Home Living (March 2009), and Country Best Log Homes (January 2010). We have become known for the quality, originality, and captivating beauty of our work. 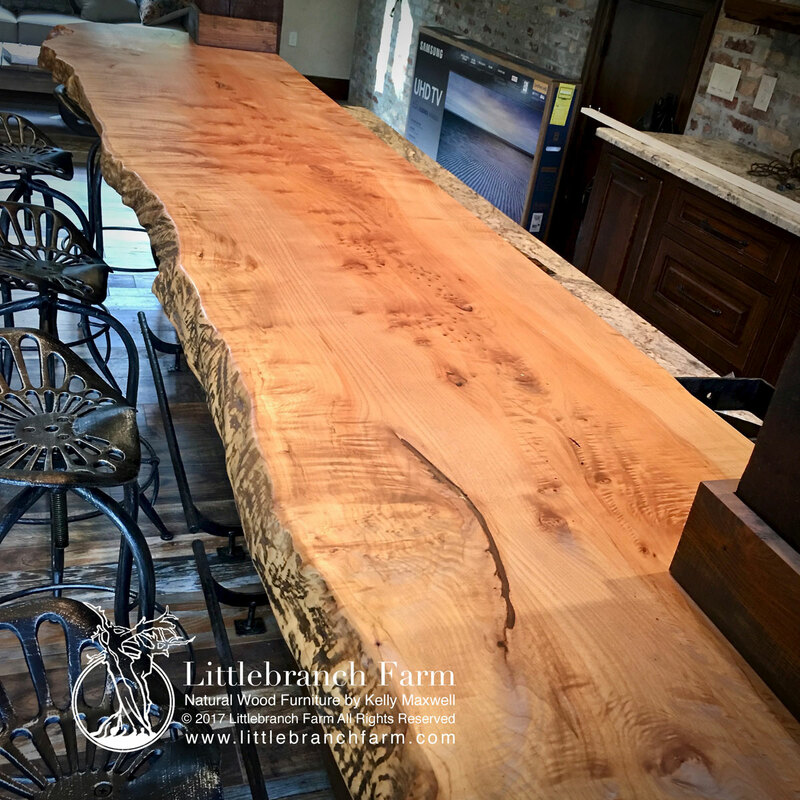 We specialize in redwood and black walnut slab furniture, unique large slab pieces, custom cedar log beds, and mixed wood originals (hickory, redwood, black walnut, maple burl, barnwood, etc.). 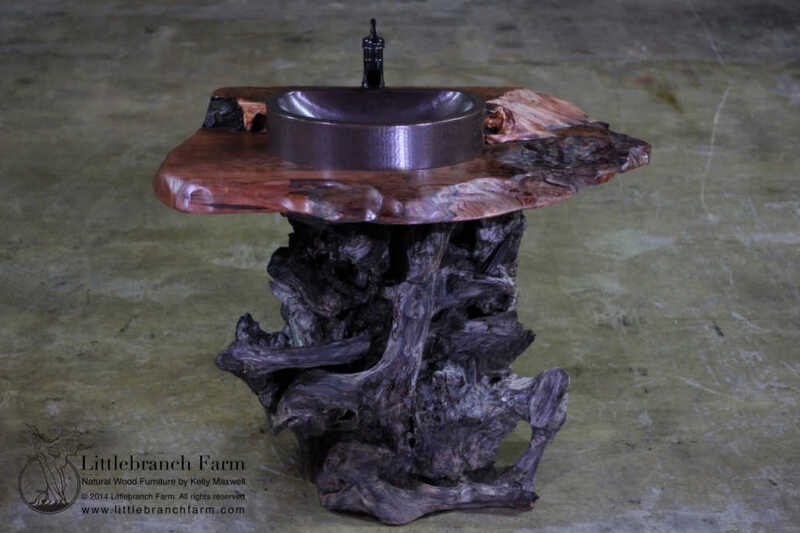 We are perhaps best known for our stump pedestal vanities, redwood dining tables, and custom, rustic, mixed-wood cabinetry. 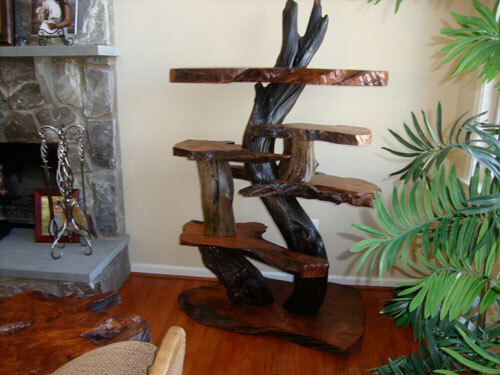 Our specialty is custom woodwork, and as such, we do not produce items in volume or provide a catalog. Our customers can be assured that they are getting original work, designed exclusively by Kelly Maxwell. Our greatest satisfaction is a happy customer. We stand behind every piece that we build and will make every effort to see that our customers are satisfied. Clients are welcome to come to our shop and hand-pick their logs or slabs prior to construction or if distance is an obstacle, we will photograph the logs or slabs in advance and email for approval. 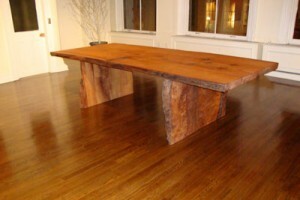 Most of our customers trust Kelly's ability to select the wood and craft pieces that go beyond what they have imagined. Please feel free to call or email us to inquire about any item you may be interested in. 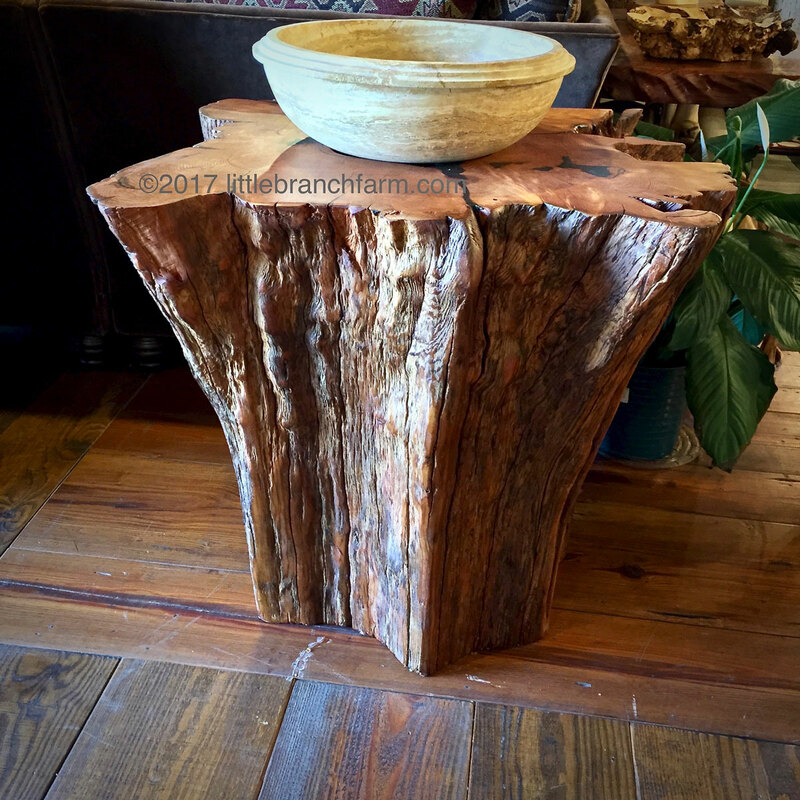 We can furnish pieces for any room in the home or office, including rustic kitchen cabinets, rustic sofas, rustic accent tables, bedside tables and chests, rustic juniper lamps, mantles, and beautiful rustic slab desks.